Sam Quinones is a journalist, author and storyteller whose two acclaimed books of narrative nonfiction about Mexico and Mexican immigration made him, according to the SF Chronicle Book Review, "the most original writer on Mexico and the border." 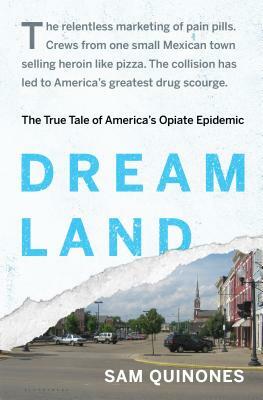 “Dreamland spreads out like a transnational episode of The Wire, alternately maddening, thrilling, depressing, and with writing as sharp and insightful as a razor blade. You cannot understand our drug war and Mexican immigration to the United States without reading this book.” —Gustavo Arellano, syndicated columnist ¡Ask a Mexican!